Pandora is a Nephilim, she is half demon and has Lust inside her, literally. She has to appease her demon side every few days and feed Lust. Working at Carnivale Diabolique aka the circus of the damned gives Pandora easy access to what she needs. It also allows her fellow Nephilim to maintain their cover from the public eye. After all, who doesn't think circus folk are odd already? Each of the Nephilim have some sort of demon inside them that represents one of the seven deadly sins. I found this to be quite unique while reading and I could easily see those characteristics shine through in each character without it being overkill. A Priest, the Nephilim's archenemy shows up and reveals he has been hunting Pandora. Their sole mission in life is to hunt and kill the Nephilim, so this is really bad not only for Pandora, but her fellow circus group. I'll forgive that he wants to kill her since he's a hunk and I was really intrigued with his character. I want to see more of him in book two. Part of the major plot is that vampires are showing up more and more. Luckily Pandora is on the case to figure out why and to put aside her hatred for them in attempt to figure out the bigger issue at hand. The mystery element of the book kept me interested, but the love interest(s) really stole the show for me. It's not quite a love triangle, at least to me, but there is a definite possibility it could turn into one later in the series. 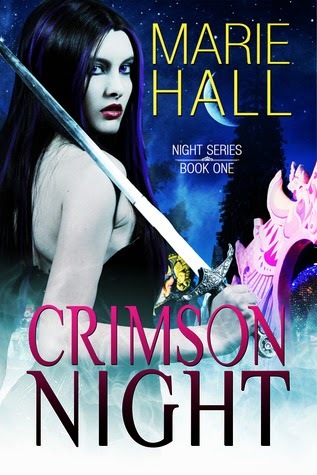 Crimson Night was a quick read that I highly enjoyed. The characters were lively and up to par with MHall's other books. 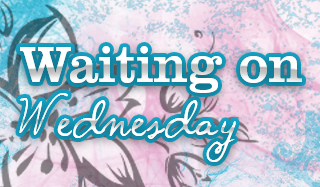 If you're looking for an edgy book that will keep you on your toes, you need to pick up Crimson Night! Oh...this does sound good. I'm with Braine & my TBR list is ridiculous...this is going on my wish list because I really like edgy.